Attractive, exfoliating bark exposes red to brown-gray inner bark. This fast-growing species is tolerant of heat, but not drought. A classic favorite for landscape focal points. Makes a breathtaking specimen plant. 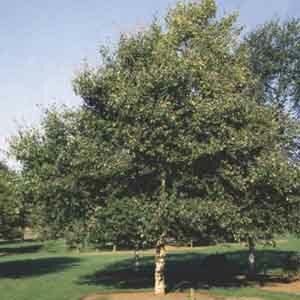 Provides shade and large-scale beauty to landscapes. Very easy to grow in virtually any location. When planting, keep the base of the trunk exposed. Plant in fertile, well-drained soil. Keep soil moist, watering freely in dry weather.